selena gomez ^SELENA 3 IN 3 icon CONTEST^ (ROUND 6 OPEN). 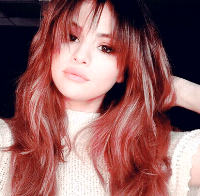 Hello Selenators! I'm going to run a forum cuz this club is getting darker and darker. 1-What u have 2 do is I'll be giving 3 themes per round. 2-U have to make icons according to the theme. 3-Once u submit the icons before the deadline I'll post a poll. 1-Obviously the one who tops the poll will be elected as the winner. 2-Winner will be given 8 props by me. 3-In case if I win the runner up will give props to me. 1-Candidates are not allowed to vote 4 their selves or else they'll be banned. 2-Editing of icons is must. The whole forum is about editing pics. 3-Size of icons must be 200 x 200.If the size isn't favorable. I'm not going to resize it I'll directly post it in the poll. 6-No icon will be accepted after deadline date. Whoever participated in this round will be given 3 props cuz its a special round. U know 22nd July!